Found one file extension association related to Winclone and 1 file format developed specifically for use with Winclone. 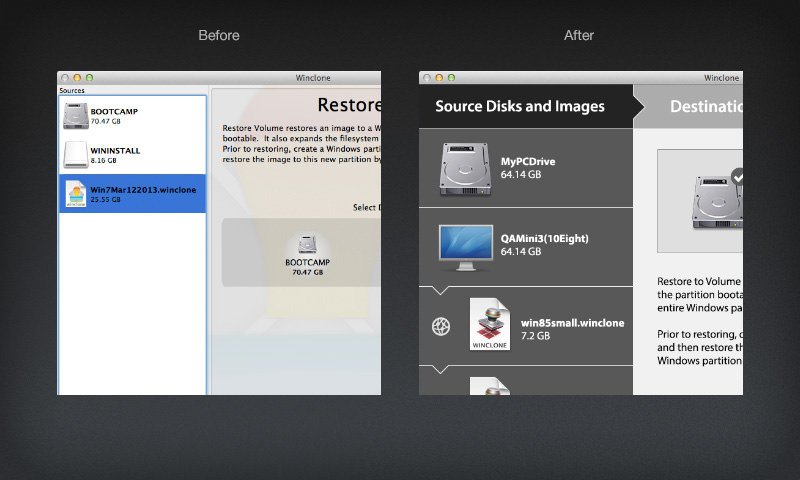 Winclone allows you to easily image your bootcamp partition on your Mac. If you need to migrate your Windows partition (Windows 7, Vista, or Windows XP on NTFS) to another Mac, create an image of the current state of your bootcamp partition or change the size of the bootcamp partition to give more space to your Mac or PC, Winclone makes it easy. Just select the bootcamp volume and create the image. Then restore the image to a bootcamp partition. Couldn't be easier. If you need more information please contact the developers of Winclone (twocanoes software), or check out their product website.